I keep plugging our Incoming database, because I don't know how many of you visit it routinely without prompting! It's become an essential part of the site. As well as providing a useful list of forthcoming releases of interest, it also features retailer links (showing you where you might find the best deals) and information culled from various sources, including press releases. (I often add bits and pieces of information to the Incoming database that aren't worth creating a new News page entry for). Using the links on these pages helps support the site, too. Caviar and champagne doesn't grow on trees, you know! Seriously - I'd hate to think that the work that my colleagues do to keep the list up to date goes to waste. Please visit the page, and visit it often! I've given the Hammer DVD Guide a bit of an overhaul, adding all the recent Optimum titles, and generally adding bits and pieces of new information. Second Sight have announced that their Dr Jekyll & Mr Hyde disc will not now be released on March the 19th. The new release date is TBC. 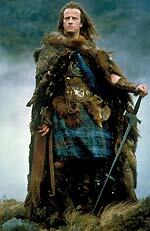 Details of the extras on Optimum's forthcoming Highlander - Immortal Edition two-disc DVD set are now available. As promised, the set showcases a new eighty-five minute documentary, The Making of Highlander (which made its debut on the German disc from Kinowelt, released last month). The documentary is presented in three sections. Each section is constructed around one or two substantial interviews: writers Gregory Widen and Peter Bellwood on A Legend is Born; Director of Photography Gerry Fisher and Set Decorator (Production Designer) Allan Cameron on The Visual Style; and star Roxanne Hart on A Strong Woman. A new eight-minute video interview with Christopher Lambert is offered separately. Director Russell Mulcahy is represented by the disc's new commentary track. The second disc also features a theatrical trailer for the film, and trailers for three other Optimum releases (Azumi, The Wicker Man and Immortal). The film itself is presented in anamorphic 1.78:1 format, with Dolby Digital 5.1 audio (at 448kbps). Let's just say that this disc isn't going to win any prizes for its transfer. The disc is due for release on February the 26th. It has an RRP of £17.99. Some menu screens from the two discs can be seen here. 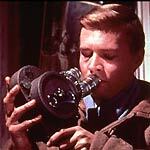 Optimum has confirmed the bonus features for their forthcoming Peeping Tom: Special Edition disc. It will feature a new and exclusive video introduction by Martin Scorsese (shot last week); a new interview with Thelma Schoonmaker; and a commentary by Powell expert Ian Christie; The Eye of the Beholder featurette (30m); The Strange Gaze of Mark Lewis featurette (25m); trailer; booklet containing an essay, an interview with screenwriter Leo Marks, and an extract from Powell's Million Dollar Movie; and a behind-the-scenes stills gallery. Optimum have also announced that they will be releasing Emmanuelle on DVD on April the 23rd, and that it has been passed by the BBFC uncut for the first time. The set will feature interviews with the producer and director, and a trailer. Some etailers are saying that the disc will also feature an eighty-minute documentary, Emmanuelle - An Exotic Success. A trailer for Nucleus' forthcoming Death Ship DVD can be found here. Check it out - it's a fine disc! Pathé Distribution will release the period serial killer movie Perfume - The Story of a Murderer on DVD on April the 30th. The film, which features Dustin Hoffman, Alan Rickman, Rachel Hurd-Wood, was directed by Run Lola Run's Tom Tykwer. It's based on the best-selling novel, by Patrick Suskind. The disc will feature a Making of.. documentary (53m); a Location Scouting featurette (11m); and Odor Conversion (sic) featurette (13m) and a 38m EPK. The disc will have Dolby Digital 5.1 audio. No other technical spec's were announced. The RRP is £19.99. Paramount Home Entertainment will release a Charmed - Seasons 1-8 Complete box set on March the 5th. 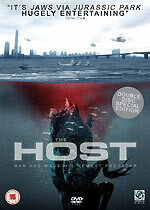 Optimum Asia's two-disc edition of Korean monster movie The Host will be a strong contender for disc of the year, when it's released on March the 5th. The set has an RRP of £17.99. The first disc contains the film, presented in anamorphic 1.85:1 format, with a choice of Korean 2.0 (at 224kbps) or 5.1 (at 448kbps) Dolby Digital audio tracks, and optional English subtitles. It also features a UK trailer (90"). OTHER RELEASES - Trailers for Memories of Murder, Shaolin Soccer and Pulse. A selection of menu screens for The Host can be seen here. Details of the bonus features on Optimim Classics' forthcoming Mulholland Drive Special Edition two-disc set are now available. The set will feature Behind The Scenes (B-Roll) footage (7m); interviews with David Lynch (3m), Justin Theroux (2m), Laura Harring (2m), Naomi Watts (4m), editor Mary Sweeney (6m) and composer Angelo Badalamenti (17m); Cannes 2001 Press Conference (18m); a theatrical trailer; and a trailer for Lynch's latest movie, Inland Empire.